In Maple Grove, Minnesota, Guitar Center celebrated the Grand Opening of its 200th store with a specially designed commemorative cake to mark the occasion. Shown L-R are Store Manager Martin (Marty) Rowles, District Sales Manager Tod Ericsson, Grand Opening Manager Gary Ingraffia, and Regional Sales Manager David E. Settimi. 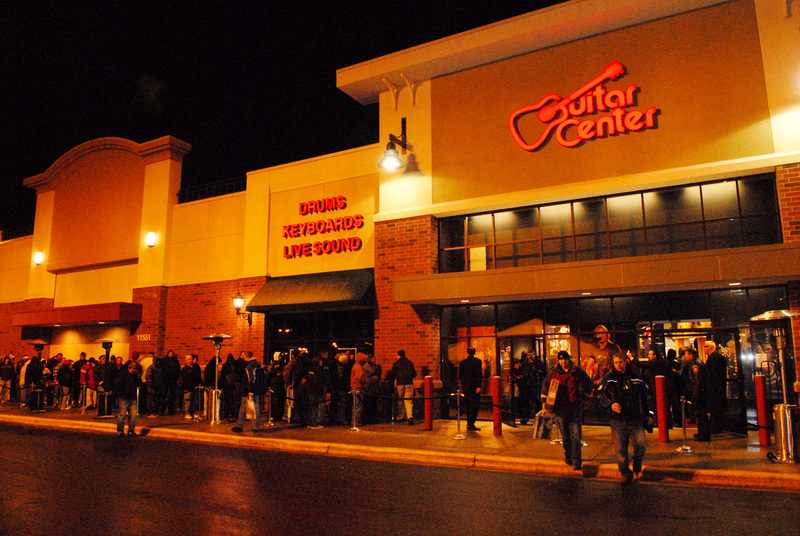 Guitar Center’s 200th store opening drew a throng of eager customers to the Maple Grove, Minnesota festivities. WESTLAKE VILLAGE, CA — Guitar Center, Inc. (Nasdaq NMS: GTRC), the world’s largest musical instrument and pro audio equipment and technology retailer, marked a major milestone in its corporate history on February 1st with the grand opening of its 200th location. Guitar Center’s highly anticipated 200th location is a state-of-the-art music complex filled with guitars, amps, drums & percussion, keyboards, software, recording, DJ gear and more. The festivities began with the cutting of an immense designer cake, as fitting the magnitude of the occasion. Attendees then mingled, shopped, and were treated to a special musical performance by the band Down and Above, as well as Guitar Center’s trademark Grand Opening Elvis tribute. Vendors also gathered to congratulate Guitar Center on the achievement. The evening featured product giveaways by Audio-Technica, Audix, D’Addario, Dunlop, DW, EV, Evans, Fender, Get’em Get’em, Gibson, Martin, Midas, QSC, Sabian, Sennheiser, and Vater. The first 1000 people in line received free commemorative t-shirts, and all enjoyed tremendous storewide savings. The opening of Guitar Center’s 200th store in Maple Grove continues the company’s effective strategy for long-term expansion, assuring customers throughout the country that they will get the widest selection of musical instruments and professional audio products at the best possible prices sold by an experienced and knowledgeable sales staff. Guitar Center offers products from all major brands in categories including guitars and basses, amplifiers, drums and percussion, DJ, keyboards, recording, computers and music software, live sound and pro audio. As musical instruments and technology change, Guitar Center positions itself as the ultimate showcase for every type of related product, always at the very cutting edge. 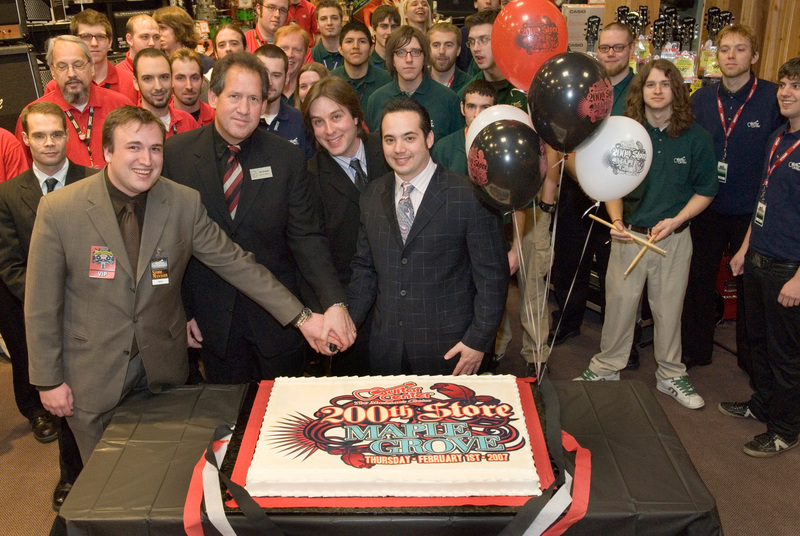 Photo Caption: In Maple Grove, Minnesota, Guitar Center celebrated the Grand Opening of its 200th store with a specially designed commemorative cake to mark the occasion. Shown L-R are Store Manager Martin (Marty) Rowles, District Sales Manager Tod Ericsson, Grand Opening Manager Gary Ingraffia, and Regional Sales Manager David E. Settimi. Photo Caption: Guitar Center’s 200th store opening drew a throng of eager customers to the Maple Grove, Minnesota festivities. Guitar Center is the leading United States retailer of guitars, amplifiers, percussion instruments, keyboards and pro-audio and recording equipment. Our retail store subsidiary presently operates more than 200 Guitar Center stores across the United States. In addition, our Music & Arts division operates more than 90 stores specializing in band instruments for sale and rental, serving teachers, band directors, college professors and students. We are also the largest direct response retailer of musical instruments in the United States through our wholly owned subsidiary, Musician's Friend, Inc., and its catalog and website, www.musiciansfriend.com. 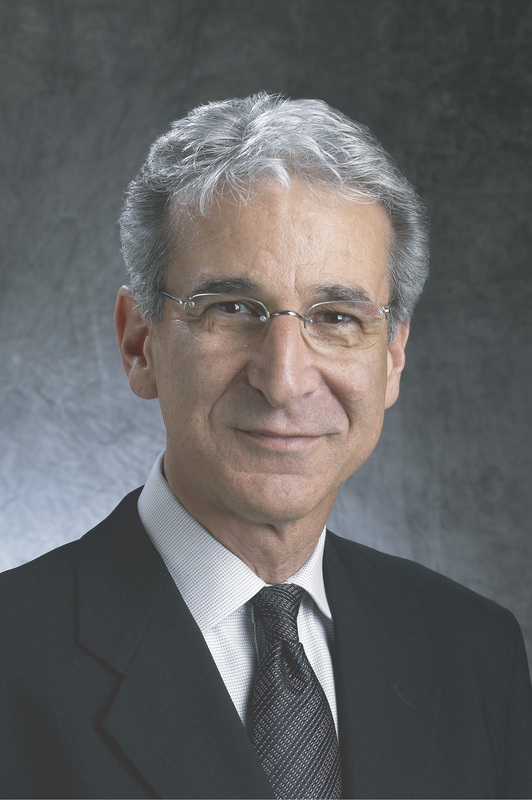 More information on Guitar Center can be found by visiting the Company's web site at www.guitarcenter.com.